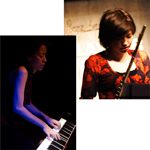 Flutist YUKARI and pianist Ms. Eri Yamamoto will visit Jamaica to give a concert and workshop to local audiences and music students. They will be performing their own compositions as well as well-known Japanese songs in a jazz style. They will also be joined by local musicians for a collaborative performance. Click here for more about YUKARI and Ms. Eri Yamamoto. This program is co-organized with Embassy of Japan in Jamaica.